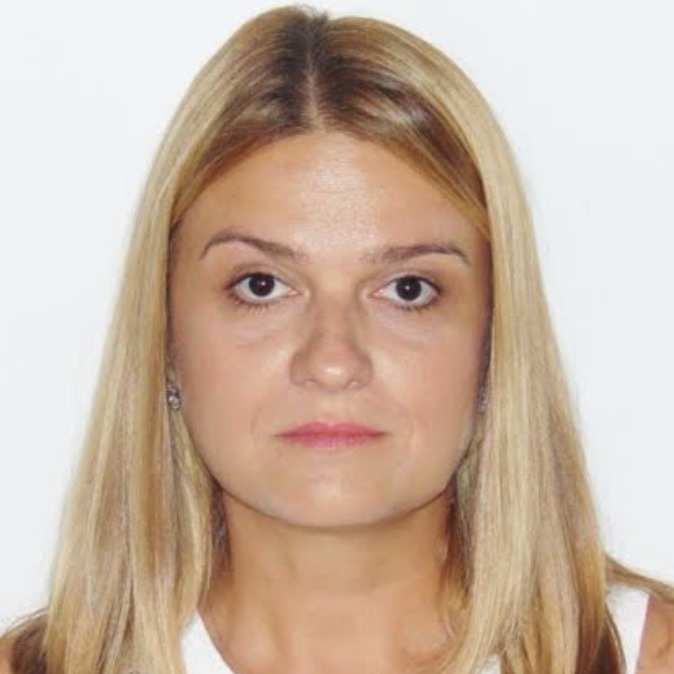 Dr Sanja Terzic graduated with honors at School of Medicine, University of Belgrade, Serbia in 1999, and completed an Internship at General Health Center “Savski Venac” and University Clinical Center, Belgrade in 2000. After that, she worked as GP at General Health Center “Savski Venac” and started residency in Occupational Health at Institute for Occupational Health, School of Medicine, University of Belgrade. The scheduled specialist training was completed on time with honors in November 2005. After that, she worked as Occupational Health Specialist at General Health Center “Savski Venac”. She recently left this institution to join the Faculty at the Nazarbayev University School of Medicine. 1. Terzic M, Stimec B, Maricic S, Plecas D. Primary ovarian pregnancy detected ultrasonographically and solved laparoscopically. Thai J Obstet Gynecol 2000; 12 (4): 313-316. 2. Terzic M, Stimec B, Maricic S. Laparoskopisches Management aufeinanderfolgender Ovarialgravidität bei einer Patientin mit Fertilitätsstörungen. Zentralbl Gynekol 2001; 123: 162-164. 3. Terzic M, Stimec B, Vranes B, Maricic S. Spontaneous conception after ten years of infertility, giving up in-vitro-fertilization (IVF) treatments, adoption of a child and two ovarian pregnancies: a case report. Tokai J Exp Clin Med 2004; 29: 199-201. 4. Terzic M, Maricic S, Stimec B. Intrafollicular fertilization? Fertil Steril 2005; 84: 268-269. 5. Terzic M, Micic J, Maricic S, Arsenovic N. Recurrent Fournier’s gangrene in diabetic patient – a case report. Srp Arh Celok Lek 2009; 137: 423–425. 6. Terzic M, Dotlic J, Maricic S, Mihailovic T, Tosic-Race B. The influence of red clover derived isoflavones on serum lipid profile in postmenopausal women. J Obstet Gynecol Res 2009; 35: 1091-1095. 7. Terzic M, Dotlic J, Maricic S, Babovic I. Hydatiform Mole Mimicking Enlarged Uterine Fibromyoma Four Months After ART. Cent Eur J Med 2011; 6(2): 201-204. 8. Terzic M, Arsenovic N, Maricic S, Babovic I, Pilic I, Bila J. Fallopian tube torsion caused by extremely large Morgagni hydatid: A very rare cause of acute abdomen in a virgin adolescent. Cent Eur J Med 2011; 6(3): 349-352. 9. Terzic M, Aksam S, Maricic S, Arsenovic N. Acute abdomen caused by adnexal torsion in the first trimester of pregnancy: a case report. Srp Arh Celok Lek 2011; 139: 239-241. 10. Terzic M, Aksam S, Bila J, Maricic S, Arsenovic N. Pelvic leiomyosarcoma obstructing vaginal opening-case report. Cent Eur J Med 2011; DOI: 10.2478/s11536-011-0128-8. 11. Terzic M, Micic J, Dotlic J, Maricic S, Mihailovic T, Knezevic N. Impact of Phytoestrogens on Serum Lipids in Postmenopausal Women. (Auswirkungen von Phytoöstrogenen auf die Serumlipide bei postmenopausalen Frauen.) Geburtsh Frauenheilk 2012; 72(6): 527-531. 15. Terzic M, Maricic S, Dotlic J. Vaginal Removal of Very Large Nascent Uterine Myoma – Case Report and Literature Review. Geburtsh Frauenheilk 2013; 73: 724–726. 16. Terzic M, Dotlic J, Brndusic N, Arsenovic N, Likic I, Ladjevic N, Maricic S, Andrijasevic S. Histopathological adiagnoses of adnexal masses: which parameters are relevant in preoperative assessment? Ginekol Pol 2013: 84: 700-708. 17. Terzic S, Milovanovic A, Dotlic J, Rakic B, Terzic M. New models for prediction of micronuclei formation in nuclear medicine department workers. J Occup Med Toxicol 2015;10:25. doi: 10.1186/s12995-015-0066-5.